A dog’s food should never be cooked. It should be fed in a raw natural state. Cooking a dog’s food ruins most of its nutritional value. The main ingredient of commercial dog food is grain by-product, despite the fact dogs are designed to eat a raw diet from a range of prey species. Grains cause a range of problems such as allergies. Commercial dog foods are often laden with preservatives, colours (dyes) and salt (Up to 20 times more than a dog requires). The additives make the food more palatable so dogs will overeat. Dogs also appear to enjoy kibble so the owner feels good about feeding it and continue buying the product. The vast majority of commercial dog foods contain too many carbohydrates (grain). High levels are linked to overeating, diabetes, weight gain and numerous other complaints. There is no substitute for a RAW, natural diet for which the dog through evolution has chosen for itself. Only human influence has removed choice for the dog and isolated the species from its evolutionary diet. The domestic dog’s anatomy has not evolved to differ from that of the wolf…only its habitat has changed. I didn’t think responsible people fed dogs raw foods? Top breeders, caring owners and well educated vets are getting back to basics. There is undeniable proof that commercial dog diets have caused damage to dog health internationally. While many people know it’s common sense to feed a natural diet to their dogs, a major re-education campaign is now underway to help people “discover” again the fabulous benefits of feeding their dogs a RAW natural diet. What is best for a dog’s digestive system? A RAW food diet. A dog’s digestive system does not cope with grains, yet they are the major ingredient of many dog food products around the world. Grains are one of the biggest allergy sources in dogs. Many people find that when they switch to a RAW food diet, their dog’s allergies disappear. Are you saying commercial grain-based kibbles are not good for my dog’s health? There are many reasons why a kibble diet should be avoided. The number one factor being that kibble pet foods are cooked. No one has ever reported seeing wild animals routinely barbecuing their meals! Raising the temperature of food above 47 degrees Celcius destroys all the naturally occurring enzymes and many of the nutrients. There is no evidence that dogs require carbohydrates in their diet, yet this makes up most commercial pet foods. Most commercial dog foods contain more than 50% grain. Dogs should be fed a diet that is high in protein and low in carbohydrates – as nature intended. I have been told by my vet that a raw food diet is not good for my dog? Vets generally focus very little on dog nutrition at university. 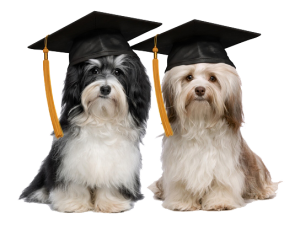 In fact, in some universities, dog food companies present information on dog nutrition as part of the curriculum which means many vets are educated about a dog’s diet by commercial dog food representatives. Vets make money from retailing dog foods. Some vets are not realising there are significantly better alternatives to grain-based dog food. What are the benefits of feeding a raw food diet? You control what your pet eats. Feeding your pet is not rocket science as pet food companies would have you believe. A healthier animal resulting in fewer veterinary bills. Your pet will eat what it is anatomically designed to eat – dentition design, oesophageal action, digestive tract and elimination. None of these aspects of canine anatomy supports digestion of grain-based commercial kibbles. Balanced energy: hyper animals become calmer, lethargic ones become energetic. Naturally clean teeth – no need for toothbrushes, de-scaling jobs, or gum disease. Smaller, nearly odourless stools which disintegrate quickly. Puppies develop at a more appropriate rate – and quick growth spurts are avoided. No “doggy” odour. Fresh smelling breath. No more noxious gas elimination! Yes, salmonella is found on chicken, but it is also on vegetables, on your counters, your floors, in your back yard, at the park and everywhere else inbetween. Handle these foods as you would you own stir-fry chicken. Wash your hands. Clean your counters and benchtop and be aware. Common sense and proper food handling is always advised. Human digestive tracts are not as robust as our dogs so sensible hygiene is required. I don’t think I have enough reason to change my dog over to RAW foods? The National Animal Control Association (USA) has estimated that animal shelters kill over 13 million household pets a year. Of this total 30% are buried, 30% are cremated and the remaining 40% – about 5 million pets – are shipped to rendering factories to be recycled and used in commercial pet food. Most of the leading brands of dried commercial pet food sold in Australia is imported from the USA. Rotating poultry with ruminant meats (animals feeding on grass) provides a better balance of nutrients than either just poultry or just ruminant meats provide on their own. Improved balances mean better nutrition. Rotating ruminant and poultry provides a better fat balance. Beef is high in saturated fats, and low, far below minimum standards, in the essential polyunsaturated fats, including LA, linoleic acid, first fatty acid deemed essential for dogs. If one feeds just ruminant meats, one needs to add a source of LA, often from vegetable fats or seeds (for instance, hemp seed to improve balance of fats in beef foods). On the other hand, chicken is high in LA, indeed, fatty chicken diets often exceed maximum recommendations, which can be pro-inflammatory. If one rotates, a day or two of beef, low in LA, and then a day or two of chicken, high in LA, the LA amounts even out; meeting all standards. To save a little money, one can rotate lean beef foods, and fattier (but not high fat) less expensive, chicken parts. But, if one is not rotating, one has to use leaner chicken parts. Beef and chicken meats provide different levels of minerals. For example, beef liver contains about 10 times more copper than chicken liver. Feed a meal of chicken, with chicken liver, and the diet will probably fall short of minimum recommendations for copper. Feed a meal of beef, with more than 5% beef liver, and the food will be copper-rich, with perhaps more copper than is advisable on a continual basis. Chicken has more tryptophan than beef, however, beef has more vitamin B12 than chicken. I’ve seen recipes for chicken and vegetable diets with no organ meats. These diets lack vitamin B12. While typical lean dark chicken meat has just 3.9mcg (micrograms,1 millionth of a gram) per 1000 kcal;a moderately fatty beef, 85% lean, has 104mcg per 1000kcal. Like any raw pet food manufacturers, we at Raw 4 Paws also get asked about bacteria in a raw pet food diet. It is not uncommon for pet owners who would like to feed their pets a species appropriate raw diet instead of a commercial dry or wet (canned) food to be concerned about bacteria such as salmonella in raw food. Some vets and, of course, the dry food companies, still tell pet owners that raw food is not safe for their pets. But this is not true. Raw food is just as safe as other pet food on the market. In fact, most recalls of pet food occur in commercial dry foods, not raw foods. It is true that there are bacteria in raw meat, every raw meat for that matter, not just meat used for pet food. These are the same bacteria as in the meat you buy from the supermarket or the butcher for your meals at home. It all comes down to the proper handling of the meat to prevent these bacteria of becoming harmful. “It’s important to note that salmonella can be found in up to 36 percent of all healthy dogs and 18 percent of healthy cats regardless of the food they consume. Many pets harbor these bacteria as a part of their normal GI flora and naturally shed salmonella organisms in feces and saliva regardless of what food they eat. Meat for human consumption is usually cooked which kills bacteria. Raw pet food obviously is not cooked so you just need to make sure it is handled properly. Store frozen pet food at -18 °C in your freezer until you need it. This reduces and slows any possible bacteria growth significantly. Only defrost the amount you need and use it up as quickly as possible. This minimizes bacteria growth. Use different utensils for your pet food and keep it away from other food in your fridge. Wash all surfaces thoroughly after handling raw meat, rinse utensils and surfaces with hot, soapy water. Wash them in a dishwasher after pre-cleaning them with soapy water. Wash your hands each time before and after you handle raw meat. Don’t let your pet lick your face, especially around your mouth. This is not just because of any bacteria that might exist in the pet’s food but even more because you never know where you pet has sniffed and licked before. Wash your hands when your pet has licked them. All Raw 4 Paws products are made from fresh meat that comes from human consumption facilities. This means the meat cuts we use come from meat that has been tested and graded for sale for human consumption. All ingredients are processed as quickly as possible at a very low temperature and are then snap frozen below -18 C in Safe Food Qld accredited and freezer suitable packaging. This means low bacteria growth to begin with plus no breakage of packaging due to freezer suitable packaging. Ready products are stored at below -18 C as required by Safe Food Qld and transported to stockists in a refrigerated vehicle and suitable transport boxes. These are approximate guidelines only. Your pet may need less or more food to maintain proper weight. Adjust as needed. If you are unsure, feel free to contact us. two smaller meals instead of only one large meal once a day. Feeding dogs two meals per day will reduce scavenging for food until it’s meal time. It will also minimise the risk of bloat and twisted stomach, two serious conditions that are very painful for the dog and can be deadly. Puppies up to six months of age should have at least 3 meals per day, younger pups 4 meals. After six months the number of meals can be reduced to two per day. Never leave uneaten food out all day. First, raw food can spoil and attract flies and ants; Second leaving food out for the dog all day will create “fussy eaters”. At meal time allow your dog to eat for about 10 minutes and take any uneaten food away after that. Our raw food, once thawed, will stay fresh in the fridge for at least 24 hours. It is not recommended to feed any raw foods after that period. Since Raw 4 Paws is a “Single Protein” Barf type diet we recommend ROTATING the recipes for optimal balance of all nutrients. Please refer to the article by well-known canine nutritionist Steve Brown “Why switch dog food? -rotating meats provides better nutrition-“, featured above. It is not difficult at all to rotate the Raw 4 Paws varieties as they are easy to portion. As mentioned Raw 4 Paws should be kept frozen. Allow the portion required to thaw in the fridge for about 8 hours, to speed the process up you can also leave it in an open container at room temperature or in warm water. You may notice some liquid during the thawing process which is normal and only the natural liquid from the fresh, real meat and real fruit and vegetables. Raw 4 Paws does NOT contain any added water.